Application authentication is done by sending a POST request to api/v1/authenticate with an application token. An auth_token is returned in response to successful authentication. 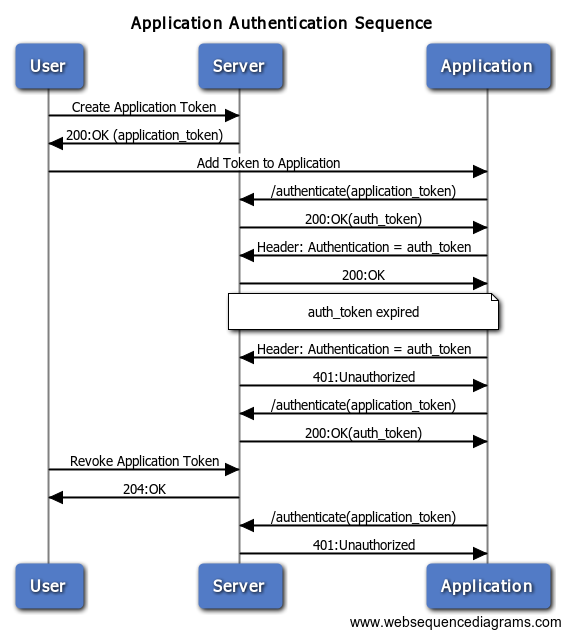 The auth_token is used for subsequent requests to the API, but has a short validity period. When this expires, the application token must be used again to gain a new auth_token. An application may optionally authenticate as a child organisation, by specifying the target organisation in the JSON request.